NORTHERN BEACHES CREATIVE LEISURE AND LEARNING INC. Reflecting the changing interests of the community has always been the focus of this local community group, which has been operating for 90 years. Northern Beaches Creative Leisure and Learning Inc currently provides a range of leisure and learning activities which includes History Walks, Social Cards and Games Days and a Sunday Activity Programme for adults with special needs. Originally known as the Children’s Library & Craft Movement, later called the Creative Leisure Movement, this organisation was founded in Surry Hills in1924 by two sisters Elsie Rivett and Mary (Rivett) Mathieson. It catered for children with after school activities, holiday programmes and travelling libraries. In the Northern Beaches area there were five libraries: - Balgowlah, Manly, Harbord, Narrabeen and Terrey Hills. These activities expanded to include preschoolers and adults. provided by organisations such as the local councils. • To promote activities and programmes to meet the needs of the community. • To adapt to meet the changing needs of the community. Provides activities which encourage the constructive use of leisure hours & promote the enjoyment of lifelong learning. Step into the past on a walking adventure to discover the fascinating history of the northern beaches and northern suburbs and appreciate the beauty of the natural environment. These monthly walks provide an insight into the pioneers of Manly, Warringah, Pittwater and the North Shore. Join Northern Beaches Creative Leisure and Learning to have fun, stimulate creativity, enhance skills and make new friendships. Opportunities exist for a regular programme of activities for seniors at the Nelson Heather Centre, Warriewood and at Newport Community Centre. Aim: To provide a regular program of leisure and learning activities for participation by adults with disabilities living in the community. Goals: To increase recreation and social opportunities for adults with disabilities. To introduce participants to a variety of leisure activities and skills. To provide opportunities to participate in community recreation activities with appropriate support. To enhance weekend leisure time by enabling people who share common interests to interact and socialise in a supportive and encouraging environment. To maintain this programme, we need the assistance of a pool of volunteers, who are willing to assist either monthly or can be called on when necessary. Assistance is greatly appreciated in helping participants to complete craft activities and with meal preparation. NBCLL also acts as an umbrella to various unincorporated community groups, including Lifeball, Artability and Mudlarks Potters. LIFEBALL is a simple and safe team ball game for all seniors. It is a fun team game which incorporates activities such as walking, passing and throwing a ball with the aim of scoring a goal through a hoop. It encourages physical movement and teamwork. Whilst it is similar to netball it is played at a safe walking pace without sudden stopping and is designed for fun, fitness, friendship, mobility and memory. Lifeball can be played by men & women of all ages. It is particularly suited to older adults as it improves heart and lung function, increases circulation and relieves stiffness. It helps prevent fall injuries as it improves balance, coordination, flexibility, mobility and mental stimulation. Lifeball is a game designed on the philosophy of participation for all. Contact: Gail / Trevor Phone: 0416 05 0540 ARTABILITY is a creative art group for adults with disabilities at the Forest Community Arts Centre, Forestville, operating under the auspices of the Northern Beaches Creative Leisure and Learning Inc.
ARTABILITY is a creative art group for adults with disabilities at the Forest Community Arts Centre Forestville, operating under the auspices of the Northern Beaches Creative Leisure and Learning Inc. 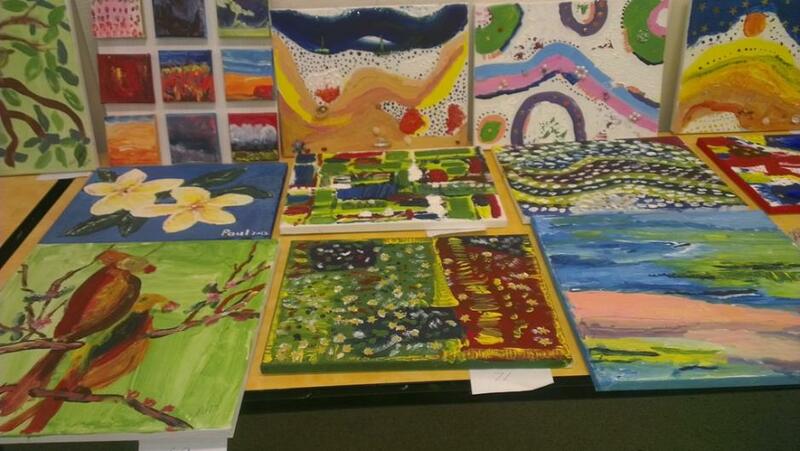 The Artability Program has been in operation for over 20 years. We have an exciting program on offer for 2014. The art program incorporates tuition with painting, ceramics, sculpture, collage, printmaking, design, craft, watercolour, and creative murals. Some of the themes have included inspiration from Aboriginal Art, Flora and Fauna, Self Portraits, the Sea, to cite a few examples. We encourage the art students to develop the projects with their own personal flair. We have a dedicated team of volunteers who provide one to one tuition in a very relaxed atmosphere. Our program is unique because we feel that our art students gain a lot of personal satisfaction from sharing their art with the wider community. We will participate in three exhibitions and displays for 2014, including: St Ives Show, Forest Community Library, and the Art and Craft Exhibition at Forest Community Arts Centre. We are proudly sponsored through grants from the Dee Why RSL Club and the Warringah Council. Mudlarks Potters is a group of experienced potters who meet regularly at the pottery room facility at Forest Community Arts Centre, Darley St., Forestville, to pursue their individual aims and ceramics projects in the company of others with a wide range of interests and expertise. The group has been operating since before the FCAC facility was built and indeed had a major input to the design of the pottery room they now use. The original members were graduates of the ceramics courses at the Brookvale TAFE, and a number of the current members are present or past TAFE students, aged from 40’s to 90’s, mainly women. The number of members is limited by the available facilities to a maximum of about 12, and recently there has been a waiting list of interested potters. Members work ranges from domestic ware bowls, plates, teapots to vases and decorative works and large sculptural pieces, made using hand building, wheel throwing, and other techniques. In 2014 we look forward to extending our experience with new techniques, glazes, and other surface treatments. We exhibit work at the annual FCAC exhibition every September, and occasionally at other venues, such as the Teapot Show of the Inner City Clayworkers, Glebe, and the St Ives Show. This is a group brought and held together by mutual stimulation, support and enthusiasm for the ceramic arts. Why has this organisation survived for 90 years? The aim has always been the same – to provide activities/programmes which are open to all persons, with ongoing assessment of the needs and interests of the community and with the direction of the organisation always being flexible enough to change in order to meet those needs. 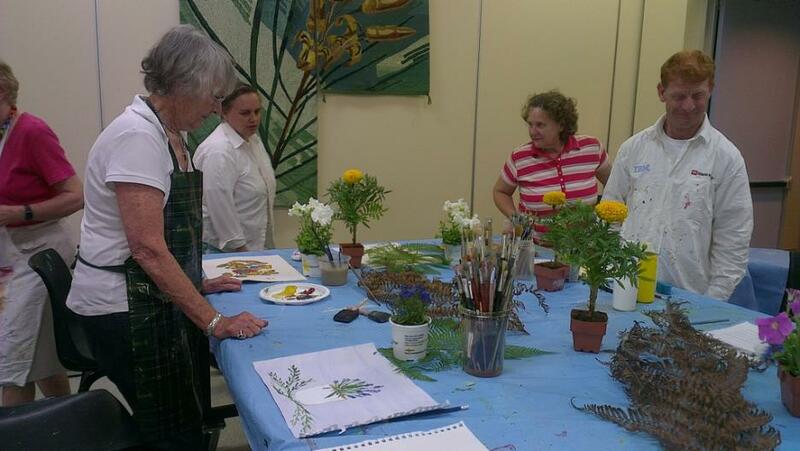 Northern Beaches Creative Leisure & Learning welcomes all interested persons to join and assist in this process, that we may continue to provide activities which encourage the constructive use of leisure hours and promote the enjoyment of lifelong learning. Join NBCLL to have fun, stimulate creativity, enhance skills and make new friendships. Copyright Northern Beaches Creative Leisure and Learning Inc., 2014.